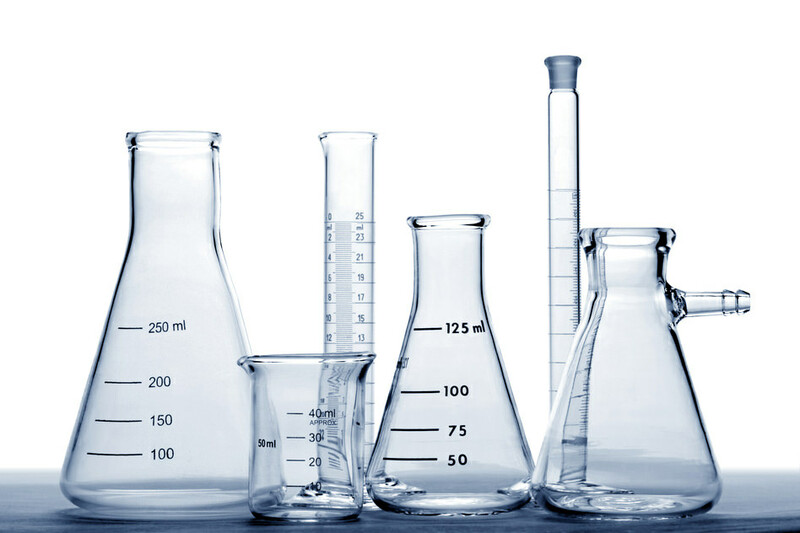 Featured above: Chemistry equipment found the world over is made using borosilicate glass. 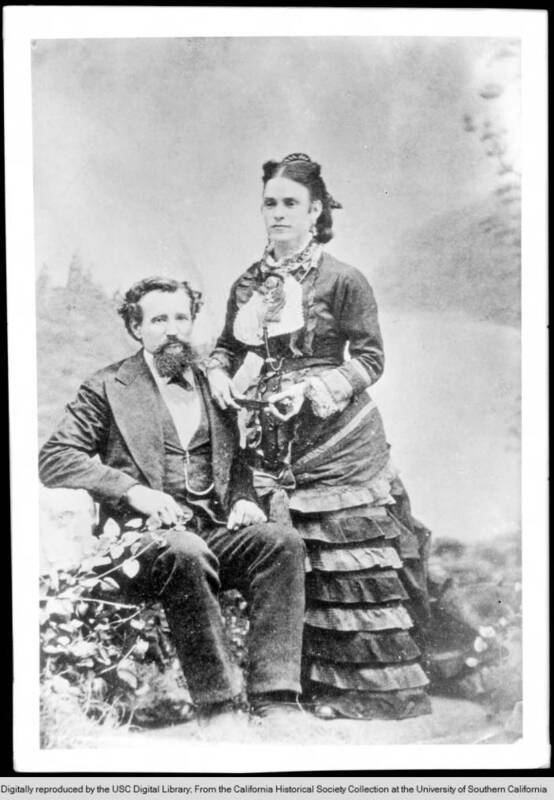 Aaron and Rosie Winters in the 1880s. No More I Love Yous: Kind of like Bill Brand in the episode on lithium, Aaron and Rosie Winters’ ending is not a happy one. The two bought a huge ranch in Nevada with their newfound riches, but shortly after, Rosie died suddenly. Aaron fell far behind on his tax payments, and eventually lost the ranch. He ended his life as a hermit, wandering the hills in search of another fortune. Suffice it to say, this is not something that happens with great frequency, and that’s why elements 3, 4, and 5 are much less abundant than the others in the periodic table’s first few rows. The main reason we’re able to find them in concentrated amounts is because water does that work for us, notably when drying up, like at Salar de Uyuni. Metalloidica: There’s not a definitive collection of metalloids that everyone agrees upon, unfortunately, due to the somewhat subjective nature of the qualifying criteria. Boron, silicon, germanium, arsenic, antimony, and tellurium are pretty solidly defined as metalloids, but some scientists contend that polonium and astatine should count, too. Sometimes selenium is added to the mix, and very rarely, carbon and aluminum are counted as metalloids, too. The gradient of metals to nonmetals gets even fuzzier when you account for transition metals and post-transition metals — but we’ll get there in due time. Aaron and Rosie Winters lived a simple life. 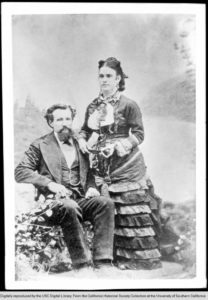 The year was 1881, and they lived in a little shack with a dirt floor near the mouth of Death Valley. The two were deeply in love, and good thing, because their nearest neighbor lived sixty miles away. So imagine their surprise when one evening, just after sunset, they heard a knock on their front door. Henry Spiller was a lone traveler who needed a place to rest. Being decent people, and knowing the man didn’t really have any other options, Rosie and Aaron welcomed him in for the evening. They shared what little food they had, as well as a pivotal conversation. Henry explained that he was a prospector, and Aaron shook his head. “Afraid you won’t find any gold or silver out here,” he said. Henry explained that, when mixed with sulfuric acid and alcohol, then lit with a match, borax will burn with a green flame. Aaron nodded and tried not to look too interested. The couple bid Henry farewell the next morning, and Aaron immediately turned to Rosie. “I’ve seen that stuff before,” he said. “In Furnace Creek.” The two set out that same day. It was a long, grueling journey — at least forty miles into the heart of Death Valley. Shortly before nightfall, they reached their destination: An ancient, desiccated lake bed, ground covered in dusty white rock. It didn’t quite look like the rock Henry had shown them. Aaron worried that they had wasted two whole days in the desert for nothing. Aaron picked up a rock and soaked it in the alcohol-acid mixture, and his hand trembled as he lit a match in the moonlight, took a deep breath, then he lit the stone on fire. A bright flash lit up the campsite, and Aaron gasped. You’re listening to The Episodic Table of Elements, and I’m T. R. Appleton. Each week, we’ll uncover the fascinating true stories behind one element on the periodic table. Today, we’re working hard to scratch the surface of boron. We’re jumping over a huge gap in the periodic table, all the way from Group 2 to Group 13 on the table’s right side. Unlike the Alkali Metals and Alkaline Earth Metals, Group 13 doesn’t have a catchy name. But boron is the first member of a different category of elements: The metalloids. The metalloids are a unique collection on the periodic table: Unlike groups, which are organized vertically, or periods, placed in rows, the metalloids run down a sort of southeast line down the table, from boron through tellurium. These elements sometimes act like metals, and sometimes act like nonmetals. Thus, metalloids. But hold on, we need to back up a little. We haven’t really covered what a metal is. Some elements are obviously metals, like iron and gold. But as we saw with lithium, an element doesn’t need to be sturdy or heavy to count as a metal. Mercury is a metal, and it’s not even solid at room temperature. So what makes a metal a metal? It mainly comes down to four things: Conductivity, malleability, ductility, and reflectivity.4 In other words, the material can efficiently carry heat and electricity, conductivity; it can be hammered into sheets without cracking, malleability; it can be stretched thin into wires, ductility; and reflectivity just means that it’s shiny. Most of the elements on the periodic table are metals of some sort, and they occupy the left side of the periodic table. Nonmetals, like oxygen and sulfur, are basically defined by not having those four properties, and they sit on the right side of the periodic table. Metalloids constitute the fuzzy no-man’s land in between metals and nonmetals, and don’t neatly fit into either category. For instance, boron is extremely brittle. There’s no way it could be pressed into sheets of foil — it would simply shatter into little pieces. It’s not exactly shiny, but boron could be called “lustrous.” And it’s not a very good conductor of electricity or heat — at least, not at low temperatures. But under just the right conditions, that changes dramatically. This is why some metalloids are also called semiconductors. Despite being so brittle, boron is one of the hardest substances on earth — for a very specific definition of “hardness.” In chemistry, hardness is how well a material resists scratching, and is able to scratch other surfaces.5 It’s then assigned a grade on the Mohs Scale of Mineral Hardness, which runs from one to ten, softest to hardest. Your fingernails rate about a two on the Mohs Scale, while the hardest material that exists, diamond, is a ten. Boron is just below that, coming in at about a 9.3.6 So even though it would smash to bits beneath a hammer’s blow, it could easily cut glass. In the 19th century, a young German named Otto Schott had the brilliant idea to put the boron inside the glass. Joseph von Fraunhofer, inventor of the spectroscope, revolutionized the world of glassmaking in the early 1800s — but by the latter half of the century, glass technology had hit another plateau. The problem was that glass optics had pretty much improved as much as physically possible. Microscopes, telescopes, and glass lenses of all types couldn’t really get any better. What needed improvement was the glass itself. Otto Schott wanted to fine-tune the chemical composition of glass. After conducting more than one thousand experiments, Schott discovered a mixture containing lithium that solved many of the optical problems of glass. But he also found that introducing boron to the mix created a kind of glass with other interesting properties. Borosilicate glass, as it’s called, is kind of a superhero in the world of glass. Schott developed it for use in thermometers, which obviously need to endure a wide range of temperatures. It excels at that task, but it has other abilities, too. It’s almost completely inert, even when holding extremely potent acids. Plus, it’s entirely non-porous, and doesn’t hold on to stains or odors like other materials sometimes do. So, you get it. Boron is hard. But don’t let that tough-as-nails demeanor fool you, because sometimes, boron can be soft, gooey, and notoriously silly. Rubber is a pretty versatile material, used in everything from tires to boots to life rafts. And unlike metal, wool, glass, and money, it actually does grow on trees. Now, all those uses for rubber just mentioned are particularly important in times of war, and during World War II, Japan controlled most of the world’s supply. For Allied forces, this meant the patriotic thing to do was to recycle as much rubber as possible. Civilians turned their raincoats and old tires over to the government, but this couldn’t meet the high demand of a world at war. To his surprise, it bounced right back up. Now, none of this made it a useful replacement for rubber. In fact, no one could really find any good use for the substance at all. Wright sent samples of the stuff to scientists around the world, hoping it would be useful in anyone else’s studies, but to no avail. Occasionally someone would bring it to a party, and people found it rather amusing, but that was as far as it ever went. This cultural and chemical cachet makes a pretty good case for Silly Putty to represent boron in your collection of the elements — perhaps inside a classic, borosilicate Erlenmeyer flask. For those of you who prefer to do a little lab work, you’ll be pleased to learn you can grow a large, beautiful crystal of borax with not much more than a little heat and time. I’ll put a video in the show notes at episodic table dot com slash boron. It’s a process very similar to making rock candy — although you wouldn’t want to eat this stuff. It’s not that it would hurt you. Borax, aka sodium borate, is essentially nontoxic to mammals. But it also won’t really do anything to help you — although there are many people who would tell you otherwise, and oh, by the way, they also happen to have quite a deal on boron supplements that will cure whatever ails you! Even disregarding any such dubious claims, these supplements wouldn’t even make a good source of elemental boron for your collection. It’s certainly not the pure element. It’s usually sold as boron citrate, or boron aspartate. So, at least until you figure out something more permanent, you could always showcase some plant life and know that boron is there, playing an important role. That covers boron for animal, vegetable, and mineral — but undoubtedly, the discerning collector is left disappointed. None of these exhibits boron in isolation. Sadly, for the purist, there isn’t a lot to choose from: Elemental boron is difficult to manufacture, and most of the time, it simply isn’t worth it. Boron-containing compounds are often more useful anyway. There are, of course, exceptions. Boron fiber is a high-tech industrial product that’s notable for its strength, light weight, and size. It’s chiefly used to create a kind of specialized adhesive tape used almost exclusively by the aerospace industry — but I’m sure if you contact one of those manufacturers, their sales department will be happy to provide you with a price quote. Thanks for listening to The Episodic Table Of Elements. Next time, we’ll find out why you owe your life to carbon. This is T. R. Appleton reminding you that sometimes, it does pay to listen to the stranger knocking at your door. The Mojave Project, Borax: The Magic Crystal. Kim Stringfellow, 2014. Loafing Along Death Valley Trails, Chapter III: Aaron and Rosie Winters. William Caruthers, 1950. The Cambridge Sentinel, Vol. VII, No. 10. The Green Flame. Cuthbert Baker, January 15, 1910. Encyclopedia Britannica, Metal (Chemistry). Last updated August 20, 2014. Polymer Solutions, Metal Properties 101. Reade Specialty Chemicals Resource, Mohs Hardnesses Of The Elements. APA VIATA, Advantages Of Borosilicate Glass. Glassware Tales, What Is Borosilicate Glass? 2012. Bionity, DURAN Group Celebrates 120 Years Of Laboratory Glassware Made From Borosilicate Glass. Tobias A. Thiele, 2007. Science 2.0, The Weird Accident Behind The Invention Of Silly Putty. May 9, 2011. GE Reports, The Amazing Origin Of Silly Putty. May 3, 2011. Retrieved from archive.org. Huffington Post, A Touch Of Knowledge: The Very Serious History Of Silly Putty. Marc Hartzman, Last updated May 1, 2012. Popular Science, The Troubling Truth About Vitamins And Herbal Supplements. Sara Chodosh, July 25, 2017. The New York Times, New York Attorney General Targets Supplements At Major Retailers. Anahad O’Connor, February 3, 2015. The Royal Society of Chemistry, Education In Chemistry: Boron. John Emsley, July 3, 2014.